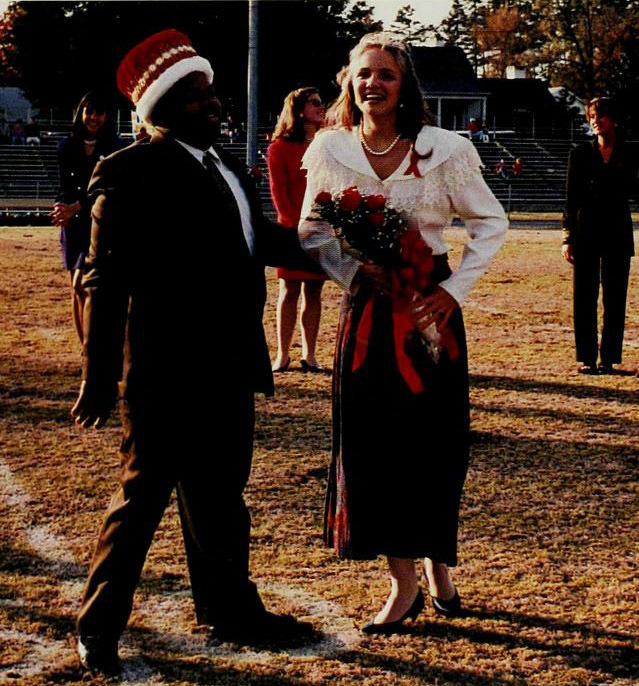 King and Queen David Bynes and Holly Good, show their excitement of capturing their titles. What if Elon students were required to wear a uniform while on campus and/or attending classes? Today students have a choice about what to wear each day, but that was not always the case for Elon students. 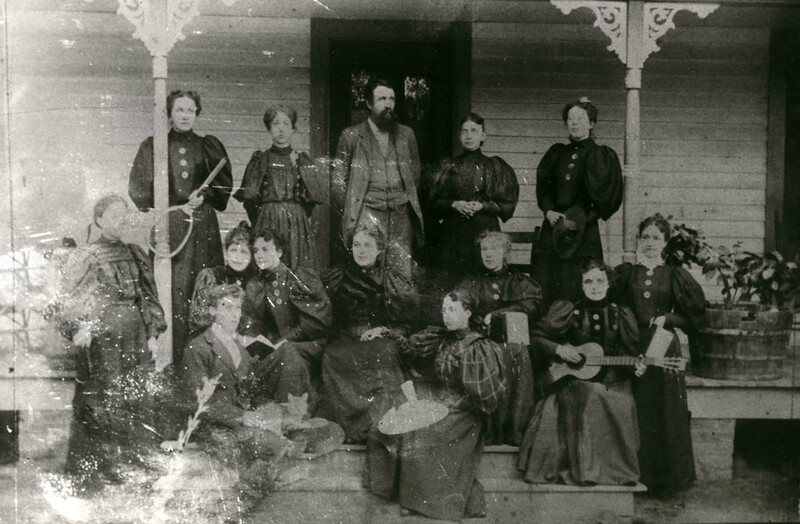 The first mention of students wearing uniforms appears in the 1890-1891 Bulletin of Elon College catalog publication. It states, “For economy and to avoid unpleasant distinctions in dress, young ladies will be required to wear a black uniform. The trimmings and scarfs to be determined by the individual’s taste. It is desired that the quality shall not be expensive, but heavy enough to hold the color and last through the winter. Young men need plain and substantial, but not expensive clothing. As a general rule, the more money a student spends on dress the less time is given to study.” It was understood that the uniform for men and women would be worn on all public occasions. 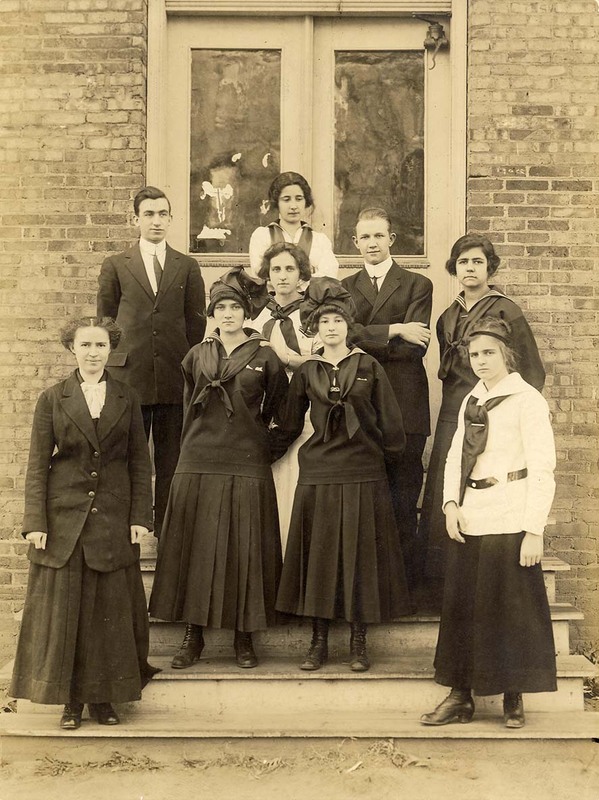 The dress code changed again in 1920-21. While no uniform was required, “…simplicity in dress, both for young men and young women is required. Young women are permitted to wear evening dresses only on such occasions as are declared formal by the College authorities. 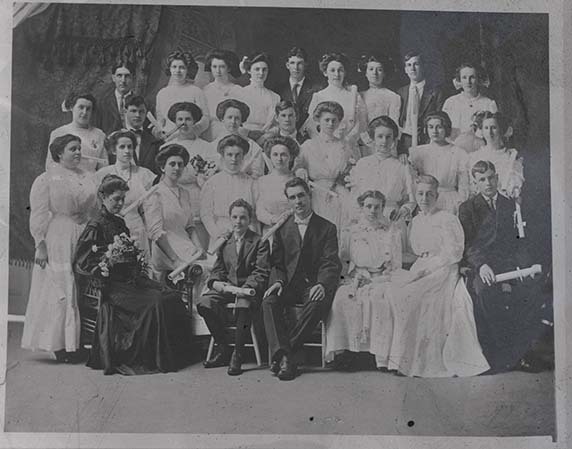 The Dean of Women will be glad to confer with parents at any time in regard to suitable wardrobes for young women.” This statement was included in The Bulletin until the 1933-34 edition, and then beginning in the 1935-36 catalog there was no mention of a dress code. 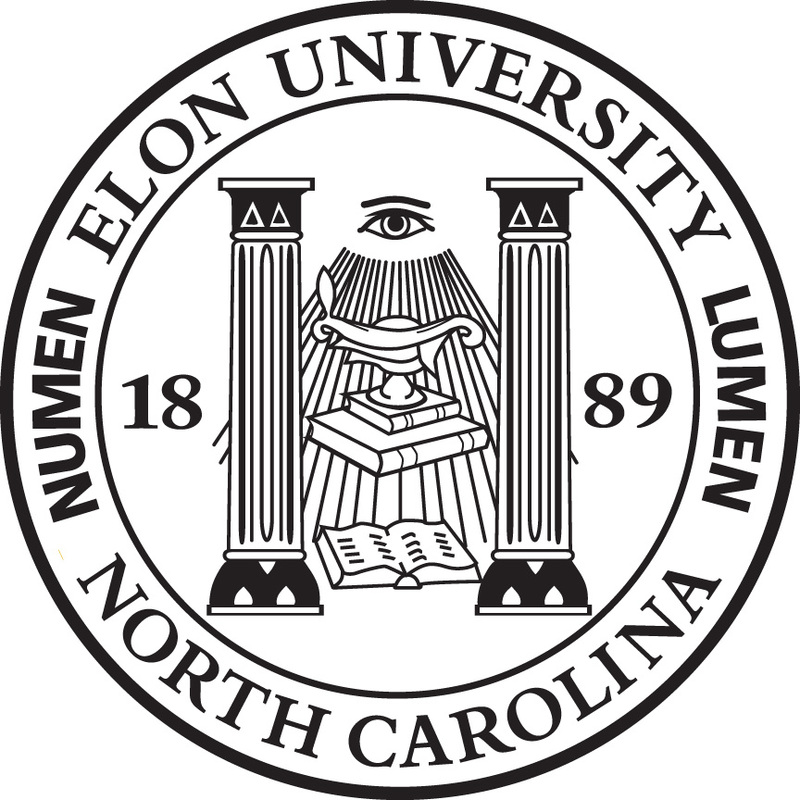 In summation, Elon students were required to wear a uniform beginning in 1890 and ending in 1912. 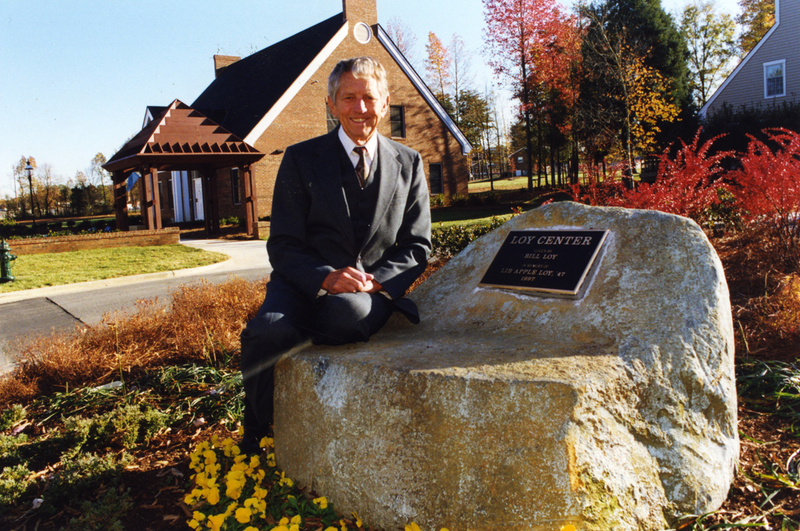 Commencement at Elon in 1991 marked the first time tree saplings were handed out to graduates. Furman Moseley (Class of 1956) was the Commencement speaker that year, and gave graduates California Redwood saplings. 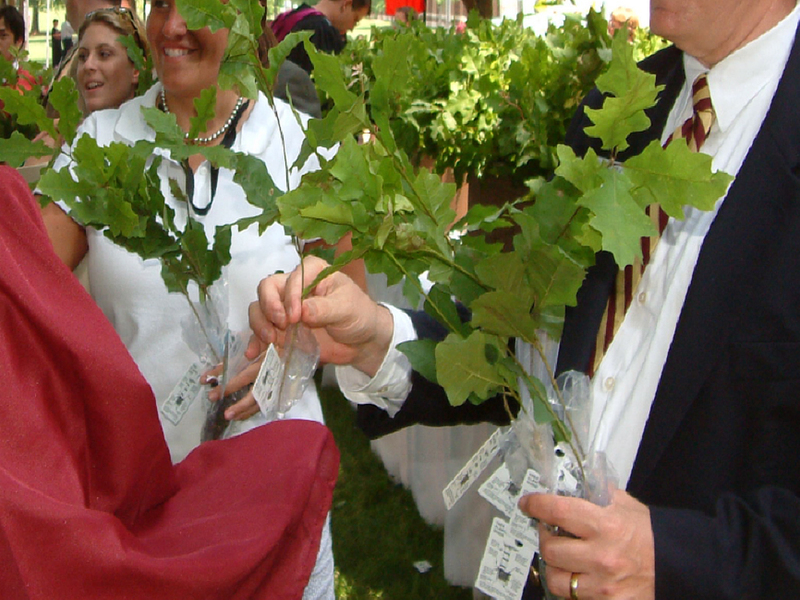 President Fred Young (1973-1999) decided to carry on this tradition at the 1992 Commencement by giving each graduate an oak sapling. According to the Elon Traditions web site, “Upon graduation, each graduate is given a Shumard oak sapling to celebrate the growth they have experienced throughout their time at Elon as well as the growth they’ll encounter as lifelong learners. ” This tradition is continued today, and may your oak sapling thrive! 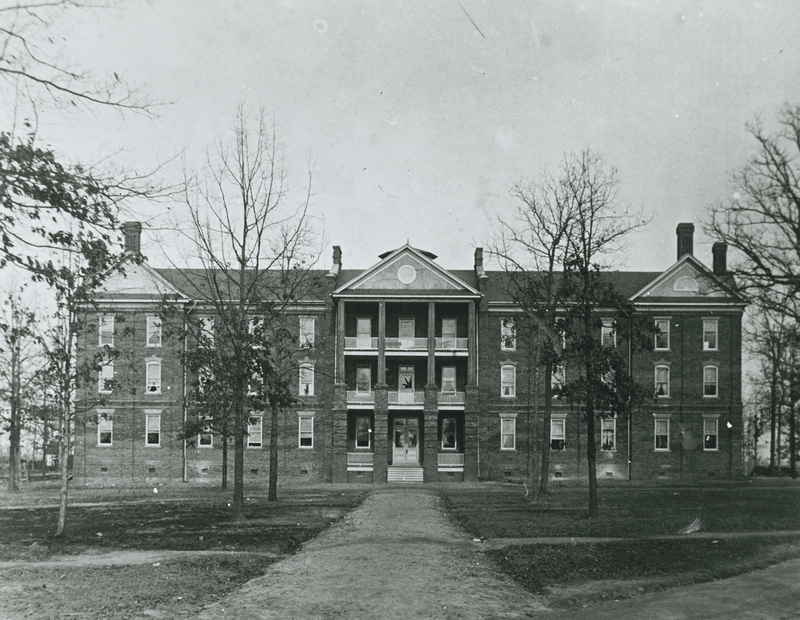 Read more here about the tradition at Elon.